Author Harper Lee Dies At Age 89 - Joe.My.God. 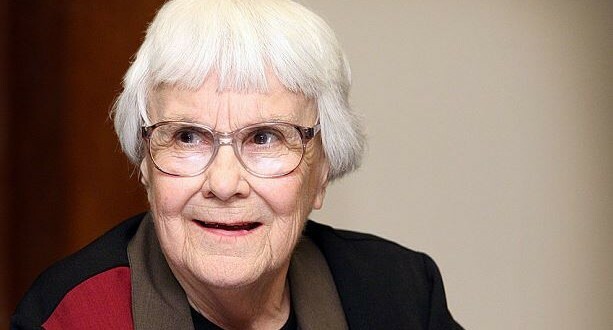 Nelle Harper Lee, who won the Pulitzer Prize for fiction in 1961 for her book, “To Kill a Mockingbird,” has died at the age of 89, multiple sources in her hometown of Monroeville confirmed Friday morning. Lee was born April 28, 1926, in Monroeville, the youngest of four children of lawyer Amasa Coleman Lee and Frances Cunningham Finch Lee. She moved to New York in 1949, where she worked as an airlines reservations clerk while pursuing a writing career. Eight years later, Lee submitted her manuscript for “To Kill a Mockingbird” to J.B. Lippincott & Co., which asked her to rewrite it. On July 11, 1960, Lee’s novel was published by Lippincott with critical and commercial success. The author won the Pulitzer Prize for fiction the following year. The film adaptation of the novel, with Mary Badham as Scout, opened on Christmas Day of 1962 and was an instant hit. Lee was famously reclusive and shielding her privacy was a point of honor for the residents of her small town.